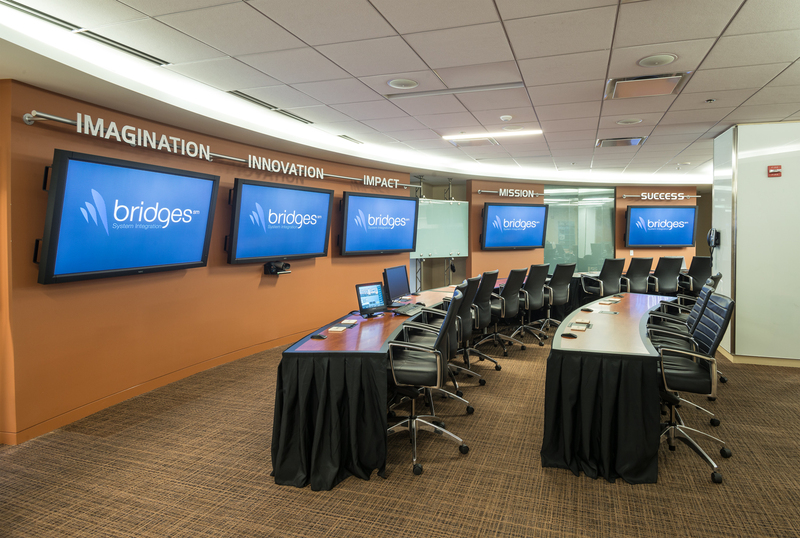 Overview: An AV enabled innovation and technology center equipped with a centralized digital media switching and distribution system, multiple HD display systems, and integrated VTC capabilities. 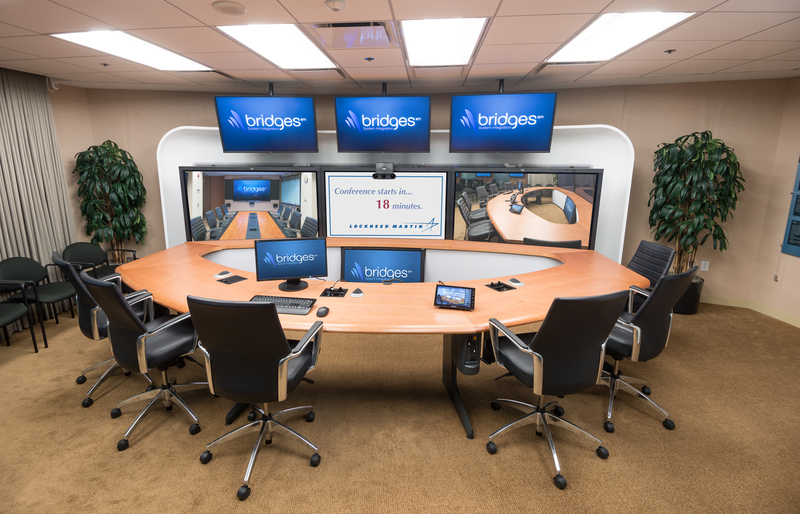 Bridges SI handled the integration, programming, and testing of complex AV system technologies for the Lockheed Martin Corporation i3 Cyber Innovation & Technology Center, which is located within Lockheed Martin’s Global Vision Center (GVC). 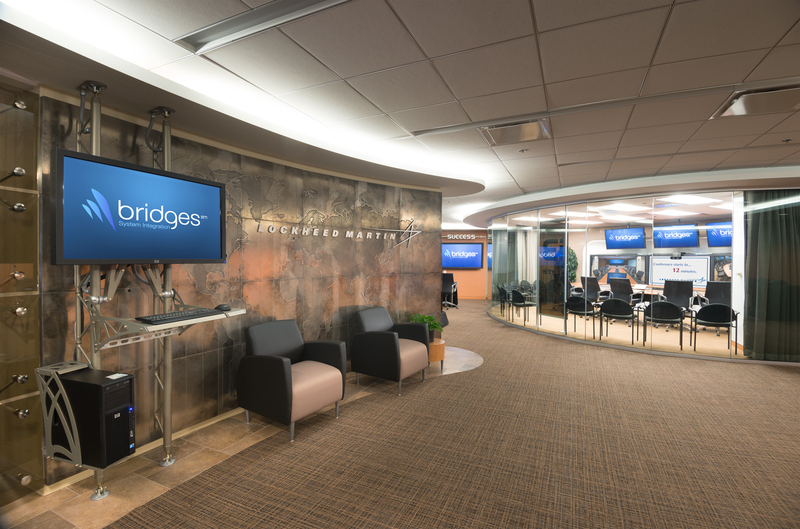 The facility encompasses multiple spaces that are connected via a centralized digital media switching and distribution system. 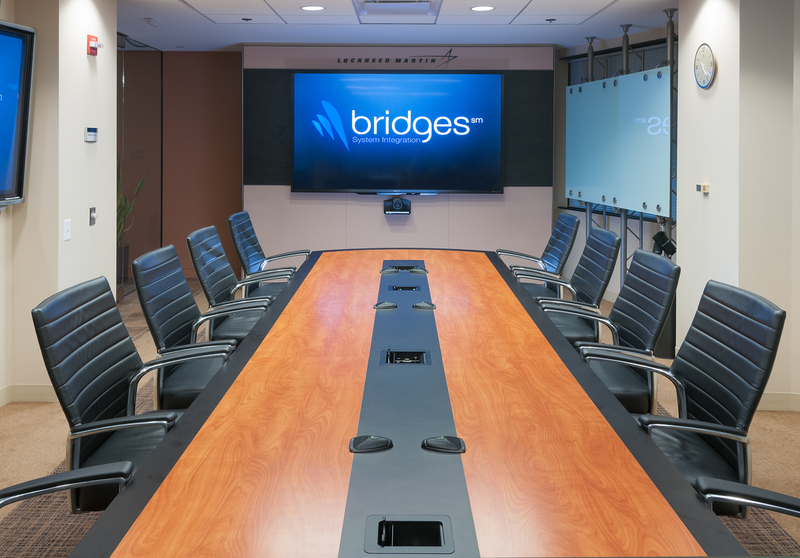 Bridges SI was selected as the dedicated AV provider and was responsible for final design, integration, implementation, and testing of all AV system components included in the project. 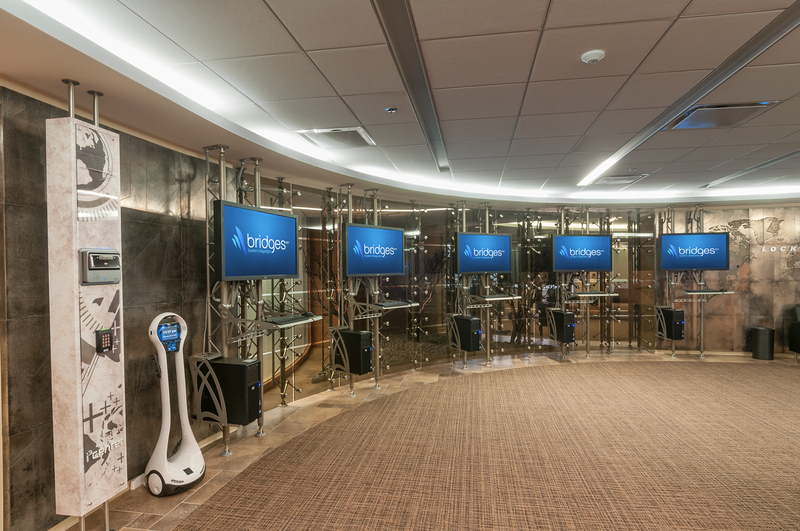 The system was designed around a core Crestron DigitalMedia switching and distribution system, and all of the systems were interconnected to support room-to-room overflow source routing. 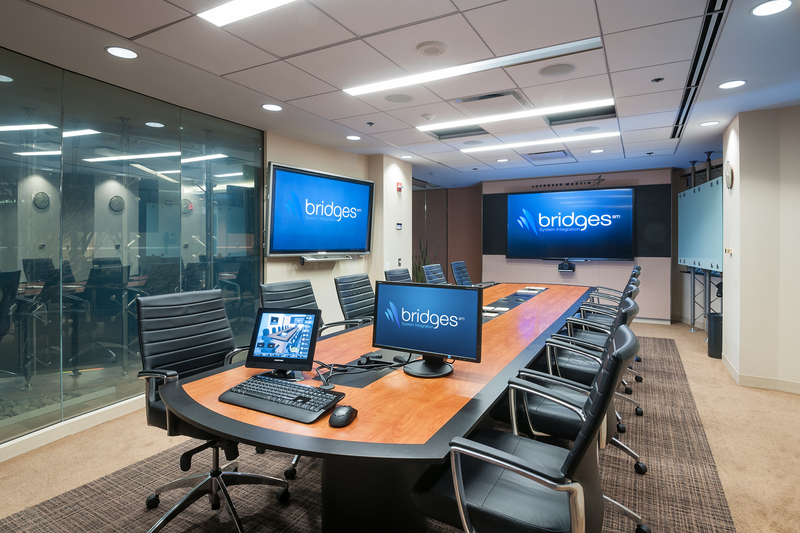 This allows briefings, presentations, and even Video Teleconference (VTC) sessions to be shared and distributed to the display systems and speakers within any of the connected spaces. 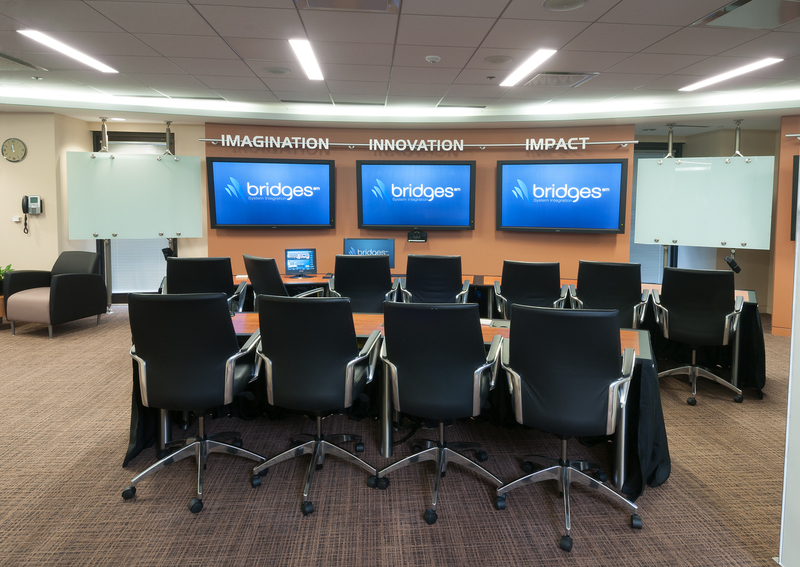 The various spaces within the i3 Center include an entrance with multiple digital signage displays, a briefing/presentation suite with VTC capabilities, a design studio, and a TelePresence room. There is a centralized equipment closet which houses the majority of back-end processing and distribution components, as well as the power supply units. Final integration included the development and implementation of unique control system source code which allowed custom, user-friendly graphics to serve as the basis for the control platform. All rooms have dedicated control panels which are intuitive in nature, providing users and visitors of the space a truly exciting, yet unobtrusive exploration of innovative technology. 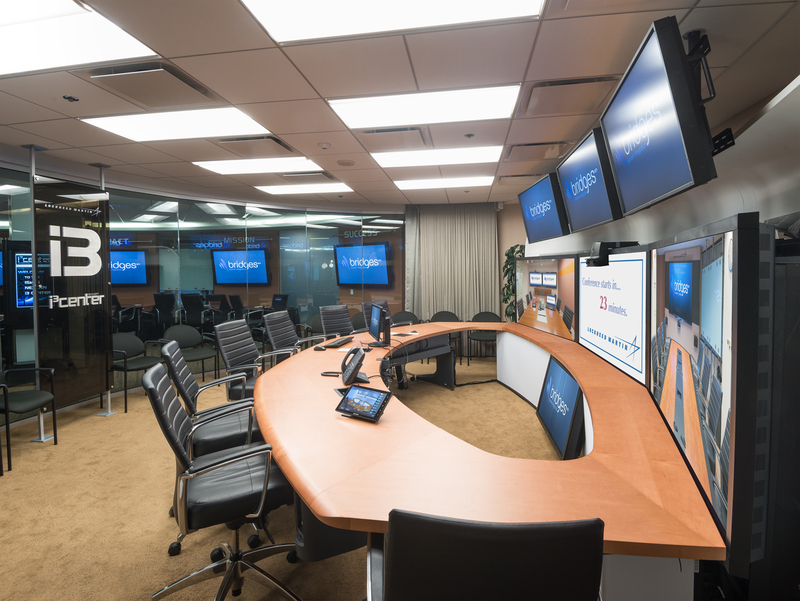 For more information on the Lockheed Martin’s Global Vision Center (GVC), please download their brochure.